The Saganing distribution took place Friday, November 30, 2018 at 2pm. The Saginaw Chippewa Indian Tribal Council Elect was sworn in, Tuesday December 5, 2017, at the December General Council Meeting. The Saginaw Chippewa Indian Tribe Council is committed to providing information of interest to all its members, both on and off the reservation. The IT Technical Training Division is available to assist all associates within the Saginaw Chippewa Indian Tribe's organization. Our goal is to support and aid associates with their job duties and help them understand and effectively utilize the Microsoft Office Products. We offer a variety of instructor led Microsoft Office training sessions, such as Excel, PowerPoint, Word, Outlook and Publisher. We also offer ongoing Keyboarding courses to increase your typing efficiency. The Human Resources Office of the Saginaw Chippewa Indian Tribe handles all recruitment, application and job placement for individuals interested in seeking employment here. There are a wide variety of available opportunities. The tribe supports an array of activities similar to what you find in any municipality, including hotel and gaming enterprises, governmental services, and educational administration. The Migizi Economic Development Company runs many local businesses. This link is for current employees only, that are applying for open positions. Your username is your first initial, last name, and badge . If you are currently logging into Kronos Timekeeper, your userid for this recruitment system will be your current Kronos Timekeeper id, but the password will be the new format as mentioned below. When logging into recruitment for the first time, the password is upper case first initial, upper case last initial, and the last four digits of your SSN ie. JS4444. Click the "Forgot your password" link and it will email your password to your Sagchip.org email account only. If you are trying to reset your password it may take up to an hour to receive the reset email. I am an External Candidate. Show me the Job Listings! The IT Multimedia Group offers video production and live webcasting to all Tribal Organizations. See our newest videos here! This event took place on October 26, 2018 in Saganing. WIIDANOKEENDIWAG - Grand Opening 6pm Today! 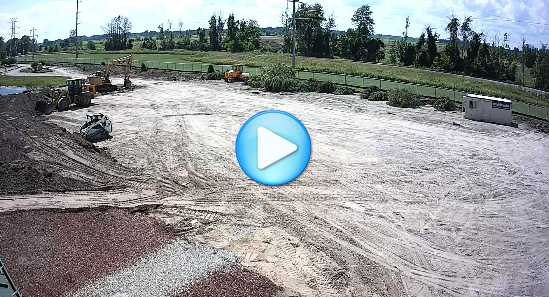 June 12 & 13, 2019 Soaring Eagle Casino & Resort Mount Pleasant, Mich.
Click here to view a live feed of the Saganing Eagles Landing Casino Hotel Expansion! Interested in subscribing to the Tribal Observer? Events included an 8am ceremonial acceptance of recovered remains on CMU property (ceremony outside CMU's Cultural Museum) followed by a walk to the Tribe's Ancestral Lodge at the Nibokaan Cemetery.